Big size image made smaller but maintaining quality? 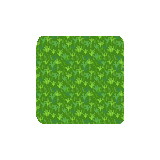 I want to make a tileset in 32x32 usage size, but painting it with a canvas of 32x32 is not very nice since the pixels are limited to paint something really detailed so I would like to know if it is possible in some way to paint a high resolution like 256x265 and then use this for the 32x32 tileset but maintaining the quality of the resolution. I know this explanation is a bit hard to understand. In other means is there a way to paint with a high resolution and then us this high resolution image and convert it into any kind of size ( smaller ), but maintaining the DPI or quality, to use for making a 2d fantasy game with really high resolution like the remake of Chrono Trigger or something similar!? Thanks a lot and hope someone could help me out! No it's not possible to scale down a hires image and maintain the quality in a lower amount of pixels. If your tileset is made of 32x32 tiles, then you can only make tiles that are 32x32 in size, meaning you have 32 vertical and horizontal pixels. The only format that can do infinite scaling is Vector graphics, but that's a whole different area in graphics. However, you could for example use 4 tiles of 32x32 tillable pieces and put them together, that would give you 128x128 pixels for more details. If I follow you, you are looking for something like Photoshops smart objects, where the original data is untouched but the scale etc. can change? If that's correct PE doesn't have any support for it unfortunately. You'll have to downsample the tiles before export using Document > Resize tiles. Be careful though as this operation is not undoable yet! Thanks a lot for the comment CandyFace !!! Based on this information, would it be possible to create the image let's say in 512*512 and after I finish it export it into Photoshop to downsize it to the size it want so i get a high resolution of the image and use it as a 32x32 png image to make myself a tilesheet image? No that's not possible, if you downscale the photo, then pixels will be either removed or merged with the average color until it can fit all the information into those 32x32 pixels. Here's an example of what happens when you downscale your grass sprite, you can get multiple outputs based on the interpolation method. As you can see, the pixels have been crammed together, only vaguely resembling the original sprite. There is no way to get more info into those pixels at that size. It's all about trying to convey as much detail into as few pixels as possible in pixel art. I hope it makes it a bit clearer. btw. A good rule of thumb is also to make your tiles in the size of "power of two", eg. 16x16, 32x32, 64x64, 128x128 etc. Most game engines are optimized to work with tiles in this size, using arbitrary sizes can therefore lead in worse performance. Also, if you intend to upscale it later, it will be less painful. OK guys thank you so much for all the explanations :-) I will stick with the 128x128 tip I got and hope for the best!